Book tickets to Beautiful Liars - A sketch comedy standup show! Beautiful Liars - A sketch comedy standup show! Beautiful Liars, a comedy show like none other with some stand-up comedy, some improv and some sketches in an hour long show. 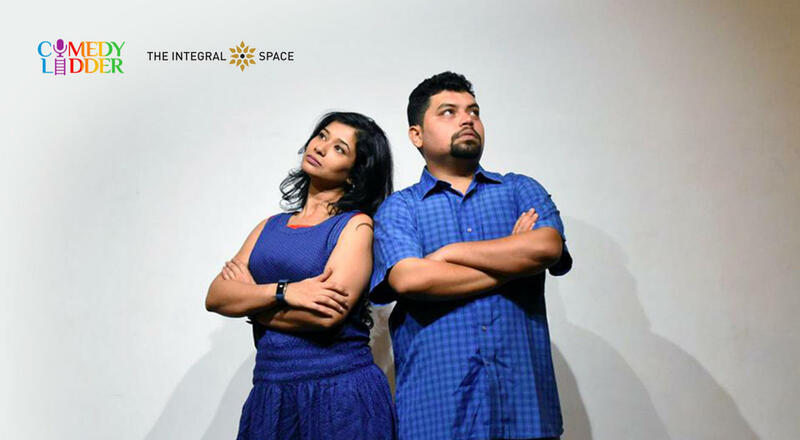 Written and performed by best friends, comedians and improv artists Jeeya Sethi and Navin Noronha, this show brings together the very best of the two and if you know them, you know it's going to be one mad mad night. So come be a part of the first-ever edition of Beautiful Liars. Navin Noronha is an amply likable guy who tries very hard to be a badass. To live by his motto of 'Live Fast, Die Poor', Navin has taken up writing as a profession. He also does stand-up because it fits so well into the underpaid artist routine. He is pretty good at it though, so if you find yourself cracking up, it may not be entirely incidental. Being a Bombay boy, Navin's material covers wide ground from liberalism and pigeons to evil bosses and Jesus. And did we mention that he is an engineer by qualification? Well, who isn't?